John Brian “Joe” Neilands, a professor of biochemistry since 1951 and a Berkeley radical in the best sense of the word, died at the age of 87 on October 23, 2008, after a short illness from a rare form of tuberculosis. Following a postdoctoral fellowship in Stockholm, Sweden, and a one year stint on the faculty at the University of Wisconsin, in 1952 Joe joined the faculty at the University of California, Berkeley, where he had an illustrious career in biochemical research as the founder of the field of study of siderophores and as a political activist who was way ahead of his time. Neilands was born in Glen Valley, British Columbia, and obtained an undergraduate degree at the University of Guelph in Ontario in 1944. He completed his master’s degree in 1946 at Dalhousie University in Halifax, then obtained a Ph.D. in biochemistry at the University of Wisconsin, Madison, in 1949. At the University of Wisconsin, Neilands became interested in enzymes, metalloproteins, and biological oxidations. This interest led him to postdoctoral research at the Medical Nobel Institute in Stockholm, where he was in the first group of biochemists to use the newly developed chromatographic techniques employing ion exchange resins for the purification of proteins. His research from 1950 to 1952 on the isolation and properties of cytochrome c from different sources demonstrated the power of those methods now being used routinely, in part because of Neilands’s contributions. 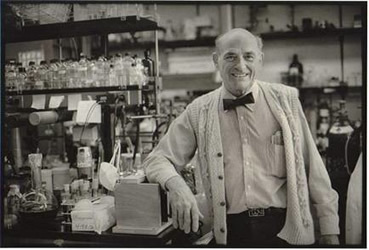 Joe had a fondness for techniques, and his versatility in adapting them to the study of enzymes and other compounds of biological interest was demonstrated throughout his career. Based on his early focus on enzymes and his teaching a laboratory course along with a graduate course in biochemistry, Neilands, along with his colleague Paul K. Stumpf, in 1958, wrote a seminal textbook entitled Outlines of Enzyme Chemistry that was widely used throughout the world. Although he was already recognized as a towering figure in enzymology, Neilands in the late 1950s changed the focus of his laboratory by returning to his earlier research as a graduate student and faculty member at the University of Wisconsin. In those studies of the formation of cytochromes from different organisms, he discovered that a previously unknown nonprotein pigment containing iron had also been formed. Motivated by his insatiable curiosity, Neilands decided to purify the compound, to determine its structure, and to investigate its function. In the first of a long series of superb papers generating a new field of research, he proposed the name “ferrichrome” for that compound. That paper, in 1952 with Neilands as the sole author, was entitled “A Crystalline Organo-iron Pigment from a Rust Fungus (Ustilago sphaerogena)”. Subsequent papers in the middle 1950s in Nature, entitled “Formation of Iron-binding Compounds by Micro-organisms,” and in the Journal of the American Chemical Society, entitled “Isolation and Properties of Ferrichrome A,” were the first involving Neilands and his students. The discovery of ferrichrome as an iron transport agent led Neilands and his students into detailed and very diverse investigations of the structure and function of these small molecules. Research that began initially as biochemistry, soon became organic chemistry, physical chemistry, biophysics, microbiology, molecular biology, and even genetics. Over the ensuing 40 years, Neilands along with about 50 students and postdoctoral associates adopted virtually every approach that appeared promising. That research program ultimately became a tour de force. Joe Neilands loved working with his own hands at the laboratory bench, and that fondness for doing things himself was translated into building, along with his wife, their home in the Berkeley hills. In the 1980s they built a country home in the Anderson Valley and more recently they constructed a solar energy source for their Berkeley home. Neilands’s curiosity was unbounded, and he was captivated by the challenges of different issues, problems, and approaches. Through more than 160 scientific papers in outstanding journals, Joe Neilands established himself as the founder and world leader of the area of biochemistry dealing with the structure and function of microbial iron transport compounds known as siderophores. His 1995 review in the Journal of Biological Chemistry, “Siderophores: Structure and Function of Microbial Iron Transport Compounds,” magnificently summarized the structural studies of the coordination characteristics of these iron-binding compounds, their biosynthesis, their functioning in transport and regulation, and their possible use in clinical applications. His earlier reviews, “Biological Oxidations” and one coauthored with Bo Malmström, entitled “Metalloproteins”, published in the Annual Review of Biochemistry in 1958 and 1964, respectively, represented insightful and important contributions to the emerging fields. In 1974, Neilands was appointed an honorary professor at the University of San Marcos in Lima, Peru. He was particularly proud of his 1988 paper, “Nailing Down Iron Assimilation,” which was listed as a Citation Classic in Current Contents. The influence and impact of Joe Neilands in this field were magnificently summarized by Eugene Weinberg of Indiana University, who, in a treatise on Iron and Human Disease, dedicated his chapter “to Professor J. B. (Joe) Neilands in honor of his distinguished career as architect, developer, and dean of the science of microbial cell acquisition of iron.” It was certainly appropriate, as well as a reflection of his sense of humor, that Joe used iron@berkeley.edu as his e-mail address. Largely because of his upbringing during the Depression as the son of immigrants from Northern Ireland, Joe Neilands was concerned about the underprivileged and the environment. That intense interest in societal problems was manifested early in his academic career when, in 1957, he launched an innovative course on Biochemistry and Society showing how biochemical discoveries impact society. His philosophy and activism were summarized in the preface to the volume Microbial Iron Metabolism: A Comprehensive Treatise, which he edited in 1974. In that preface, Neilands wrote: “It is the special responsibility of the scientist to guard against the perversion of basic information and to strive for the humanization of our profession.” In adhering to that philosophy, he found himself engaged in many conflicts over public policies and the role of scientists. To his colleagues, Joe seemed to love controversy. For him, fighting for his principles was mandatory. Whether he deliberately sought out controversial issues is debatable, but he certainly did not avoid them! As a consequence of his interest and focus on iron and human disease, Neilands became acutely involved in discussions and deliberations over policies affecting the environment. That activity led him in the 1970s to write scientific papers on industrial lead poisoning and chelation therapy, on science and the biosphere, and on the dangers of defoliants and herbicides. At that time, he was also a coauthor of a book entitled Harvest of Death. Despite being in the midst of a very productive period of research on ferrichrome and other siderophores, he became an ardent political activist. He served as chair of a Scientists’ Committee on Chemical and Biological Warfare. His most noteworthy “battle” in the 1950s was aimed at preventing the Pacific Gas and Electric Company (PG&E) from building a nuclear reactor at Bodega Bay. 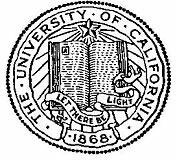 That activity involved Neilands in a long struggle with the chancellor of the Berkeley campus and the president of the University, who had been planning to construct a marine biology laboratory at that site even though it was already known that marine life would be seriously affected by the proposed nuclear facility. Despite powerful opponents, Neilands and his allies prevailed. He then became a leader in movements for municipal utilities in opposition to major corporate ownership. He was extremely proud of the solar energy system he had constructed and relished the reduction of the energy bills at his home. As a participant in the Bertrand Russell International War Crimes Tribunal in North Vietnam, he found himself in a struggle with the government over his passport and in further confrontations with the administration of the University over his absence from the campus. But Neilands proved blameless, having completed all the bureaucratic requirements for a leave of absence. On some of his “crusades,” such as abolishing the use of animals in research and abandoning fluoridation, we parted company with him, but the overwhelming thrust of his political activism earned the enthusiastic support of most of his colleagues. To Joe Neilands, confronting social policy issues dealing with science was even more important than the science itself. But he excelled in both. Following his retirement in 1993, Joe’s activities were devoted primarily to his favorite causes, clean municipal energy and conservation. He is survived by his wife of 50 years, Juanita, and their son, Tor, and his wife, Dianne.